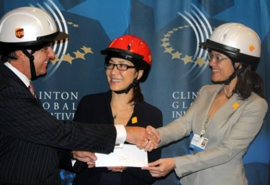 Last week, we wrapped up September at the Clinton Global Initiative Annual Meeting "Designing for Impact" in New York, where Former U.S. President Bill Clinton and Global Road Safety Ambassador Michelle Yeoh personally highlighted our initiatives to 'deliver vaccines for road safety' in Southeast Asia. In Vietnam, enhanced police enforcement has made significant strides toward increasing child helmet use in Ho Chi Minh City and beyond. Our team in Cambodia has built an online community that grows by the day, just above 1,500 as I write these words. And Kai County, China has come together around our pedestrian road safety initiative there. Please read on to see all the ways we're 'designing' a safer global road traffic environment. Traffic Police agree that "children also need a helmet"
AIP Foundation volunteer and Wisconsin University masters candidate Tuong Van Nguyen presented Helmets for Kids research at the American Academy of Family Physicians Global Health Workshop. The conference attendees included physicians working in Southeast Asia area, and other topics focused on preventative care and the philosophy of family medicine abroad. AIP Foundation announced a three-year grant from The UPS Foundation, the charitable arm of global logistics leader UPS, totaling US $450,000. This commitment by UPS will provide helmets and road safety education for more than 27,000 students and teachers as AIP Foundation expands its Helmets for Kids program in Cambodia, Vietnam, and Thailand. Eduardo Martinez, President of The UPS Foundation, a Global Supporter of the UN Decade of Action for Road Safety 2011-2020, joined Mirjam Sidik, Executive Director of AIP Foundation and Michelle Yeoh, movie actor and Global Road Safety Ambassador, to share the news at a session on Safe and Sustainable Transportation during the annual meeting of the Clinton Global Initiative in New York City. Lotte Brondum, Regional Director, will represent AIP Foundation and the Global Helmet Vaccine Initiative (GHVI) in New Zealand at two key conferences connecting the world leaders on safety issues. First, the Safe Kids Global Summit from September 28-30 will bring together organizations acting as country representatives for Safe Kids Worldwide. As the official Safe Kids representative in Vietnam, AIP Foundation is proud to be part of this important group. Following the summit, Ms. Brondum will also participate in the Safety 2012 World Safety Conference from October 1-4. HCMC steps up enforcement of helmet law for children – Less than a third of the city's children wear a helmet when being driven on motorbikes with many parents admitting that they have children wear helmets less for their safety than for avoiding a traffic cop's attention. Launched this week in several HCMC districts, a new campaign scales up traffic police patrols and activities to raise awareness among parents about the importance of their children having head protection on the road. 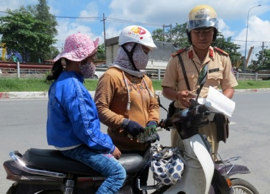 With the support of the World Health Organization (WHO) and AIP Foundation, dedicated units of the traffic police began enhanced helmet wearing enforcement operations this month in five municipality districts in Ho Chi Minh City, targeting school-aged children who ride as passengers on motorcycles. Scaling up enforcement is the latest activity in the national campaign "Children also need a helmet," organized by AIP Foundation in partnership with the National Traffic Safety Committee (NTSC), the Road and Rail Traffic Police Department, the Ministry of Education and Training (MoET), and WHO. The campaign has laid the groundwork for successful enforcement, by improving road users' understanding of the need for a helmet and, thereby, creating a favorable environment for sustainable societal change that would be unachievable through legal means alone. Police activities will be accompanied by information counters set up in target districts where flyers and helmets are distributed to educate violators who are stopped by police, as well as billboards and posters installed across the city and a documentary specifically produced and broadcast about police enforcement on child helmet use. 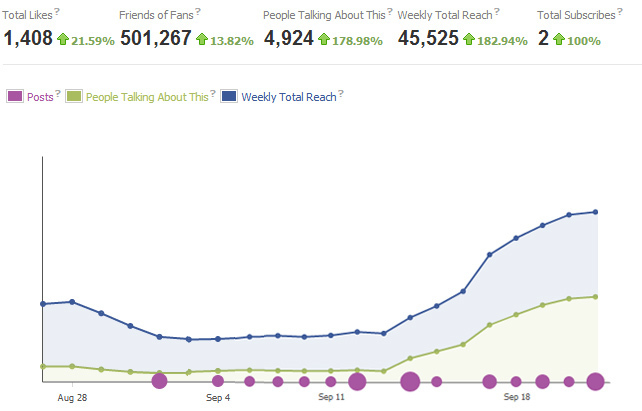 Other ongoing communications activities include airing of the campaign's TV commercial and social media discussions. Following the successful piloting of this program in HCMC, partners anticipate rolling out similar enforcement programs in Ha Noi and Da Nang within the next six months. 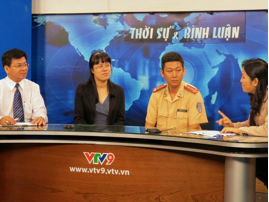 AIP Foundation's Vietnam Program Manager Ms. Nguyen Dieu Nuong joined a 40-minute talk show on VTV9 focusing on the child helmet situation in Vietnam and police enforcement during the last quarter of 2012. The other guests were Mr.Tran Khac Huy, Head of the Division of Student Affairs at the Department of Education and Training, and Mr.Nguyen Huu Tai, Deputy Unit Commander of Strategy for the Traffic Police (PC67). Participants discussed traffic safety topics that are of concern to the public, such as child helmet use and distinguishing between fake and real helmets. 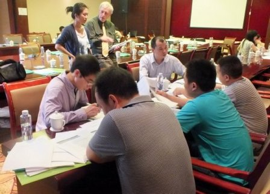 The reporter focused especially on AIP's activities and progress in Vietnam. The program was broadcast live on September 22 and aired again at 7:55 am on Monday, September 24. The Ho Chi Minh City Youth Union, Traffic Safety Committee, Sophie Paris Co. Ltd, and AIP Foundation came together for a "Youth and traffic culture" event that attracted more than 1,000 participants in District 1. Participants, mostly parents and children, enjoyed live performances, a bike road show, virtual traffic games, and a talk show with celebrities and the authorities. AIP Foundation manned a booth to distribute information and to exchange Sophie Paris helmets for vouchers received by parents who had violated the child helmet law during the previous weeks. 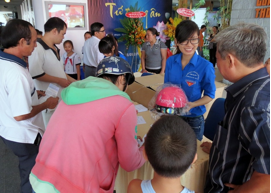 Meanwhile, the other four AIP Foundation booths in Districts 9, 12, Binh Tan and Binh Thanh were distributing helmets for vouchers as usual. As the implementing NGO for Safe Kids Vietnam (SKV), AIP Foundation organized a "Keep your kids safer" information session for 300 parents at Nguyen Thi Minh Khai Primary School. This activity complements the Model School Zone project. Primary school children are constantly faced with many hazards that can cause accidents and injuries, not limited to environmental risks, such as speeding motorists. Parents play an important role in modeling and teaching safe behavior to their children. SKV provided tips to parents on how to teach their children to stay safe when walking and riding bicycles, as well as sitting on the back of a motorbike. At the end of the information session, each parent was given a questionnaire. SKV received largely positive feedback about the content, and parents' responded that they feel confident in applying the information from the session to teaching their children to be safer road users. Hun Sen says shootings, traffic accidents threaten tourism – Gun violence and fatal traffic accidents are hurting the government's efforts to boost tourism, Prime Minister Hun Sen said, urging local authorities to take action – even against the powerful. AIP Foundation organized three trainings on safe traffic behavior for 650 students and staff at Singapore International School, Sovanna Phumi, and American Intercon School (AIS). AIP Foundation equipped participants with valuable road safety knowledge, particularly concerning correct helmet use and the importance of wearing helmets, especially for passengers and children. Every year, nearly 2,000 lives are lost on Cambodia's roads, a startling reality which motivated the schools' administrations to take action by providing helmet use education for their students and staff. This month, AIP Foundation's Cambodia team continued to promote passenger helmet use through community outreach by discussing the issue face-to-face with motorcycle riders and by setting up booths in public places. These booths provide materials with information about the importance of helmet use, the road safety situation in Cambodia, and the pending passenger helmet use mandate. AIP Foundation's Facebook photo competition has received two hundred submissions of motorbike riders wearing helmets. Facebook fans will have a chance to vote for their favorite photos or support their friends and family who have entered the contest by liking them on the AIP Foundation-Cambodia page. Become a fan of this page and vote! Finalists will be selected on October 19th. Road safety App launched – New mobile applications that monitor road safety will be introduced to encourage residents and commuters to report road accidents. AIP Foundation attended the second meeting of Sub-Committee on Safe Behavior under Road Safety Directing Center at the Office of the Royal Thai Police, which acknowledged the contributions by various stakeholders toward the 100% helmet wearing campaign. Chairperson announced police progress, including an order for stricter helmet use legislation and enforcement of all polices nationwide. The committee proposed to the Royal Thai Police to change the rules of speed limit in the city areas from 80 down to 50 to be the same as in neighboring countries. Pingqiao District to maintain student road safety management permanently – With the school-year beginning in September, the government of Xinyang, Henan Province has begun implementing several actions to a safe traffic environment for children. As the pilot phase of AIP Foundation's pedestrian road safety program, sponsored by Chevron Ltd., moves forward, county officials, teachers, and other stakeholders gathered on September 12th to explore potential partnerships and to adapt AIP Foundation's draft curriculum. The pilot begins in October 2012 at Gaoqiao and Qili Primary Schools in Kai County. County officials hosted the stakeholder workshop, where AIP Foundation presented the project plan to the police, Department of Education, Youth League, school officials, parents, and Chevron representatives. The Kai County Coordination Office director Mr. Qingfu Wang said, "If the project prevents even one crash and saves one life, it will have a huge impact on a family and the community, reducing the burden on society." Following the stakeholder meeting, 16 teachers from Gaoqiao and Qili Primary Schools joined a curriculum writing workshop to discuss lesson content, flow, sequence, and clarity. AIP Foundation prepared a draft informed by international curricula as well as the baseline survey findings that parents, teachers, and the community worry about the road safety situation but that schools lack the resources to train students in the classroom. The workshop also allowed teachers to take ownership of the material of this initial draft and was followed up on September 14th with a trip around the area when the students and teachers took the photos used for teaching the curriculum. AIP Foundation education specialist Rob Klein, Regional Development Director Lotte Brondum, and China Country Manager Xiaoyan Xu paid a visit to the traffic police office of Kai County. The workshop explored the roles and responsibilities of the police and the local road safety laws. The police had additional advice on AIP Foundation's teaching materials and expressed their willingness to train teachers and volunteers to guide students to cross the road at the two project schools in Gaoqiao. 290 boda boda cyclists killed in accidents – At least 290 boda boda cyclists have died in Uganda in road accidents since the beginning of this year, the commissioner Traffic Police Steven Kasima has said. In Uganda, despite a mandatory motorcycle helmet law, helmet use remains lows at 30.5% (2011), and new and effective efforts are needed to increase helmet usage and save lives. The Uganda Helmet Vaccine Initiative (UHVI) coupled a series motorcycle safety training workshops with free helmet distribution for boda boda (motorcycle taxi) operators and enforcement training workshops for traffic police officers. UHVI engaged Dr. Muhumuza Simon, from the Injury Control Center- Uganda (ICCU), to evaluate the effectiveness of its work by observing helmet wearing rates both prior to and following the workshops. Results from the report reveal that helmet use increased from 38.3% before the workshop (pre-intervention) to 50.5% after the workshop (post-intervention). With these key results supporting the effectiveness of UHVI efforts, AIP Foundation will move forward by expanding UHVI's work of motorcycle safety in Uganda.